John Abraham dons several disguises as he plays the titular character, segueing between the parts of Romeo, Akbar and Walter. The title smartly abbreviates to RAW, which is short for Research and Analysis Wing, a sort of ‘desi’ MI-5 which nurtures and sends brave spies into the cold, to get back vital information from behind enemy lines, and to keep the country safe. 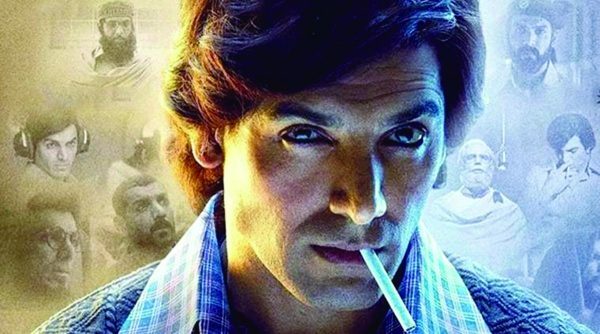 Review: Robbie Grewal’s film is set during the 70s, when the conflict in East Pakistan was coming to a boil, when West Pakistan was going all out to overrun its ‘counterpart’, and in which India played a decisive part in containing it. John Abraham dons several disguises as he plays the titular character, segueing between the parts of Romeo, Akbar and Walter, as he goes about skating on very thin ice in dangerous territories, infiltrating army camps where plans are being hatched for a crucial air-strike, and keeping his collaborators safe. You can see the considerable effort that has gone into creating credible backgrounds. Anil George is well cast as an influential arms dealer. As is Raghubir Yadav, who plays a permanently-tipsy batman to Abraham’s frontiersman. I really enjoyed Kher’s campy aware act as a Pakistani soldier with a penchant for pulling nails out of his victims. Abraham, as the desi Bond-Bourne does well with being the give-nothing-away-spy, impassivity coming naturally to him. The women don’t fare as well. Amin as the long-suffering mother who is always knitting sweaters for her brawny son, and Krishnamoorthy as a tough journalist who interviews ‘Madam’ (Mrs Indira Gandhi was PM then) don’t have much to do. And Roy as a diplomat burning scraps of ‘secret’ paper is miscast.